Guy Davidi and his film "5 Broken Cameras" came to my attention through Bruce Rosen, and this article is from a great newspaper for which I have also authored several Op-eds, The Jewish Daily-Forward. "Davidi (of Moroccan & Romanian jewish background) first came to the West Bank village of Bil’in from his native Tel Aviv in 2005, as an “Indymedia” activist. Bil’in has been engaged in a non-violent struggle against Israel’s security barrier, which encroaches on its property, as do a number of Jewish settlements. Davidi spent several months there making his first full-length film, “Interrupted Streams” (2006). His current work documents life in Bil’in through 2010, when Israel’s supreme court ordered part of the security barrier to be removed from village land." to Read more Blog for Film at the Forward by Ralph Seliger - "Broken Cameras Director Seess Hope for Israel". 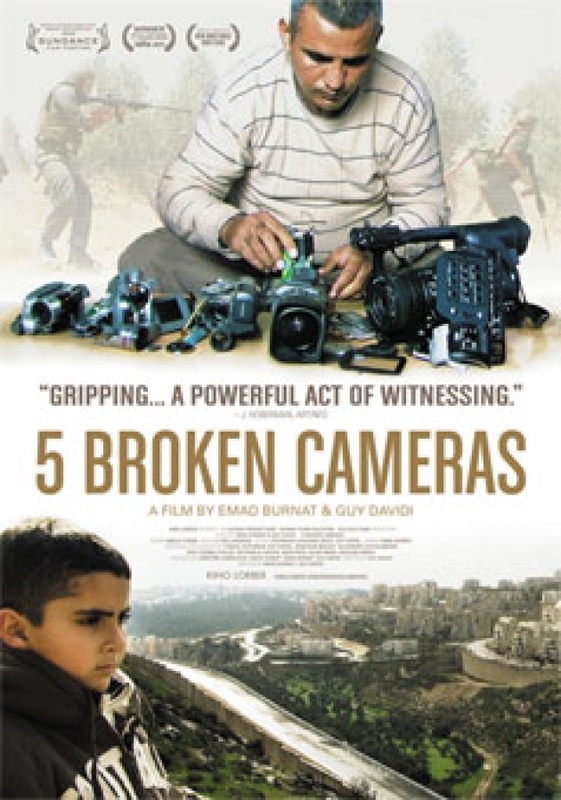 You can also see the film "5 Broken Cameras" at the New York Film Forum through at least first half of June -opening May 30.